Adam Merrick Real Estate shows off their green! 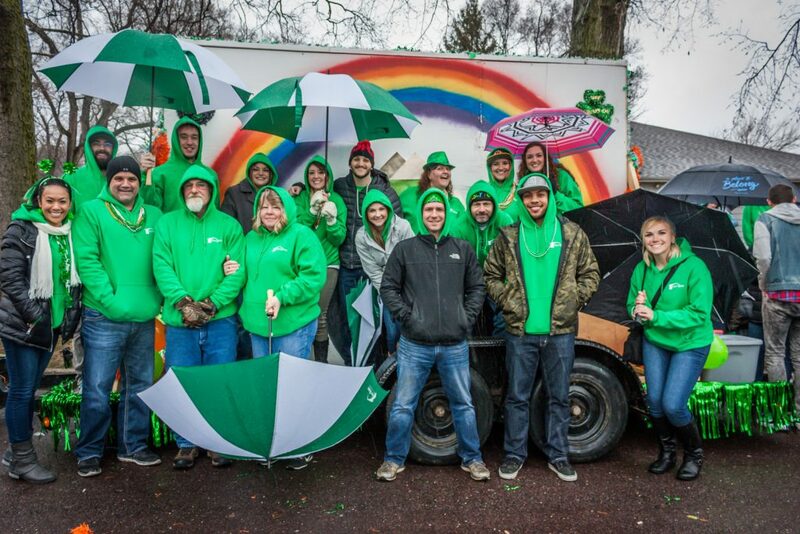 The less than ideal weather didn’t stop our Team at Adam Merrick Real Estate from enjoying the local festivities of this years 38th Annual St. Patrick’s Day Parade! From brainstorming float ideas to the build itself, our Team looks forward to the Event each year! Any opportunity to get together and utilize our extensive Teamwork skills and join our local community in celebration, is always exciting! Equipped with yummy treats, flashy holiday beads and awesome AMRE apparel, we showed friends, family and future clientele that you need more than luck to sell your home!